August is the month when Scotland takes it up a notch while the rest of the art world has a breather. Edinburgh saleroom Lyon & Turnbull (25/20% buyer’s premium) was among those capitalising on the annual lull found elsewhere and the increased footfall to the capital in late summer. The Mod Brit and contemporary art sales are a firm fixture in L&T’s August calendar and usually come with a heavy emphasis on pictures made north of the border. This year’s offering, held on August 16, brought in just over £300,000, with 81% sold from 153 lots. As with the Edinburgh Fringe, female talent was in plentiful supply this year. An early figurative oil by Scottish painter Alison Watt (b.1965), best known today for her large fabric and paper creations, was pursued to a mid-estimate £17,000 by a UK private buyer. 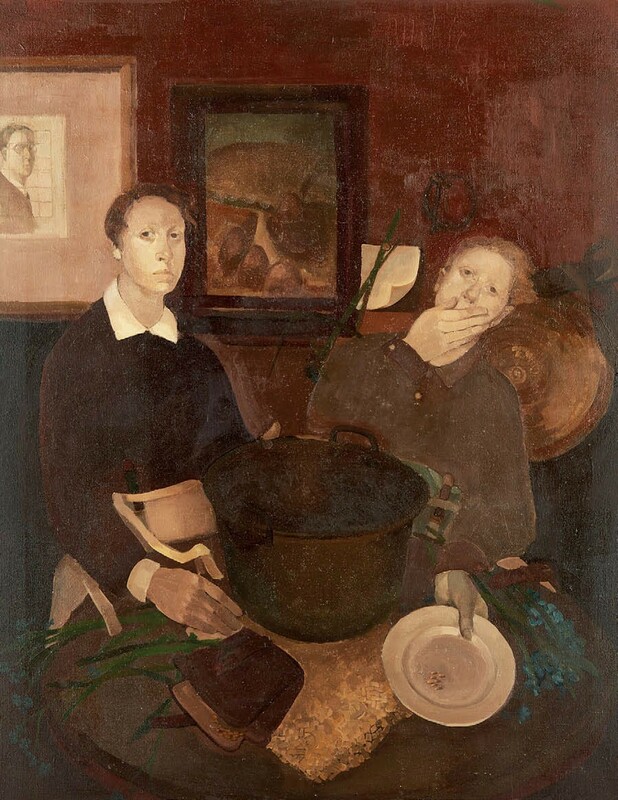 Planters, a large 3ft 6in x 4ft 7in (107 x 138.5cm) quasi self-portrait depicting two figures in front of a large pot, was painted in 1986 – the year before Watt graduated from the Glasgow School of Art and the same year she won the prestigious John Player Portrait Prize, known today as the BP Portrait Prize. “Watt has always done quite well but now there is clamouring demand and people are willing to chase her work quite high,” said Riordan. Adding that Watt’s early figurative works are proving particularly popular with collectors at present. Amy Johnson Dreaming of Flying by Pat Douthwaite – £7600. Further down the price list, demand also emerged for local female artists with growing cross-border appeal. The abstract works of Pat Douthwaite (1939-2002), the self-taught unconventional Outsider artist from Dundee whose life was often fraught with difficulties and issues with her mental health, made a record last year at Bonhams Edinburgh when her 1973 work Purple coat sold for £8200. 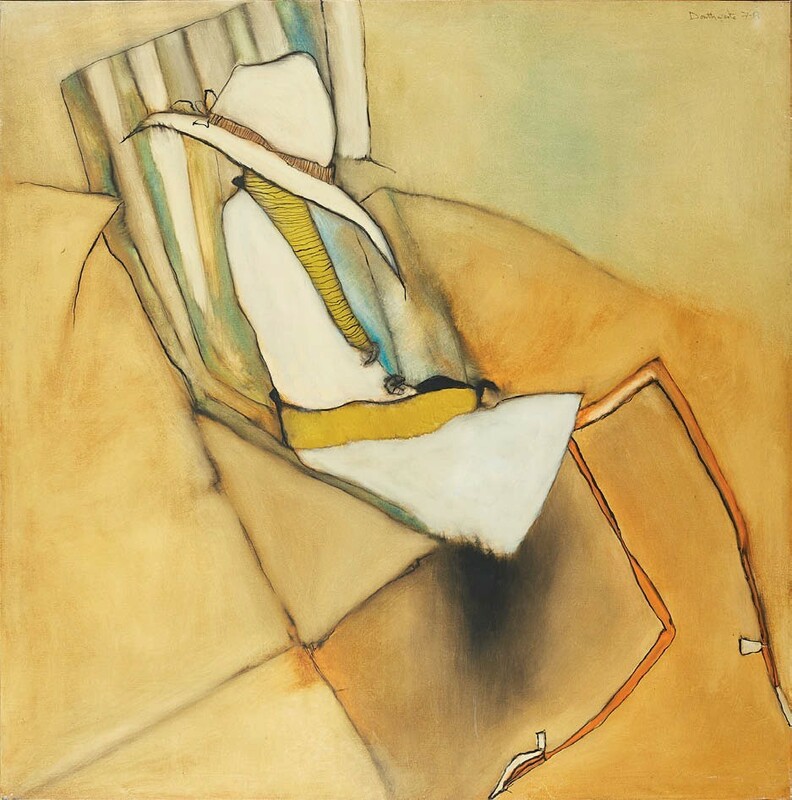 At L&T, a square 5ft (1.52m) oil on canvas from 1978 titled Amy Johnson Dreaming of Flying sold within estimate for £7600, her second-highest price at auction according to Blouin Art Sales Index. The work had been in the same collection for over 30 years and was loaned to the Third Eye Centre in Glasgow for a Douthwaite retrospective in 1988. Elizabeth Blackadder (b.1931) is another popular Scottish painter with a healthy secondary market. Although she also painted landscapes, still-lifes garner the most attention at auction and L&T included two in its sale. 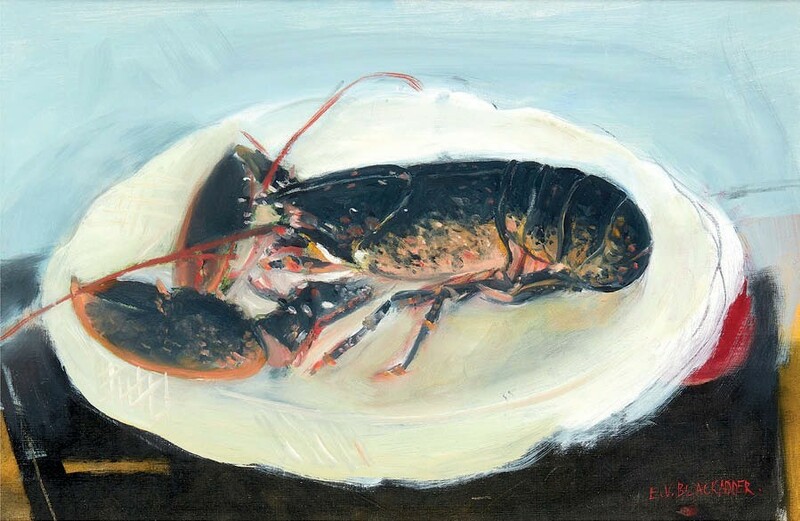 A signed, 11 x 17in (28 x 43cm), oil on canvas of a lobster on a white dish, exhibited at a Scottish gallery in 2007, sold for £7200 against a £5000-8000 estimate, while a print of irises from an edition of 50 took nearly three times its guide at £1400. “Blackadder has always been a good seller, but in the last 18 months we are seeing a spike in demand for her work,” said Riordan. 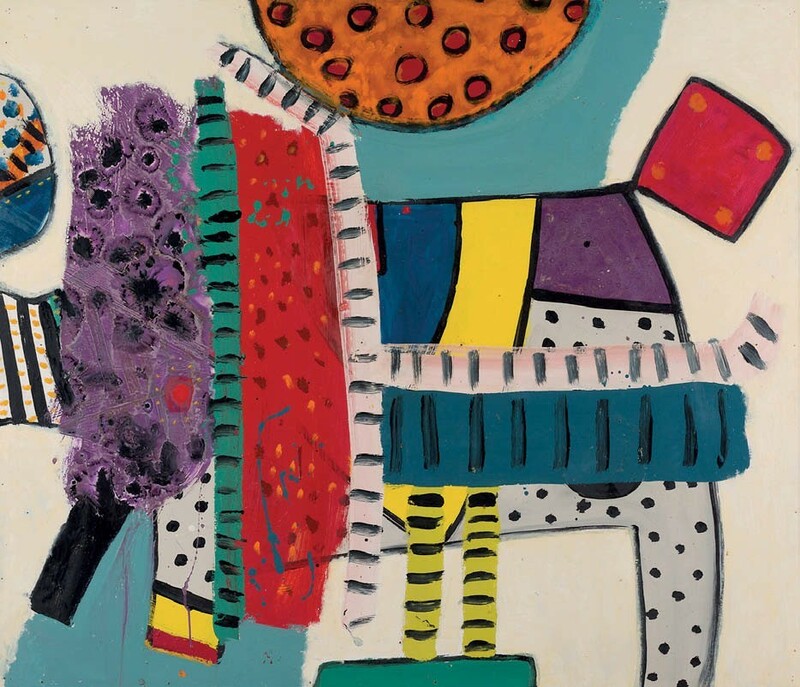 The sale-topper was a large and well-preserved oil by Alan Davie (1920-2014) dating to the prolific painter’s desirable abstract period in the 1960s. Titled Opus 0.337: Transformation of the Wooden Horse, No 5, with a gallery label for Gimpel Fils in London, the 3ft 4in x 4ft (1.02 x 1.22m) oil on board sold within its £15,000-25,000 guide to a UK private buyer at £18,500. Elsewhere, Watching TV, a vast John Bratby (1928-92) work from his Kitchen Sink period, drew private and trade interest before it was knocked down above hopes at £15,000 to a London buyer. The 6ft 8in x 12ft (2.03 x 3.66m) oil on panel from 1958 slotted into Bratby’s most successful period as a painter when he won the Guggenheim Award for three consecutive years from 1956-58.